AmaWaterways debuts three ships this year, including the revolutionary AmaMagna, designed to reach a new breed of river cruiser. Newbuilds are in the news this year, with cruise lines in every category jostling for attention. But AmaWaterways prefers to let the facts speak for themselves. And the facts are impressive. The family-owned and -operated line celebrates its 17th anniversary this July. It’s a year for the company record books, with three new ships debuting. One of them, AmaMagna, is designed to reach a whole new swath of travelers. AmaMagna is the brainchild of President and Co-Founder Rudi Schreiner, who once served as Viking president and was instrumental in designing the first ships tailored for North Americans. 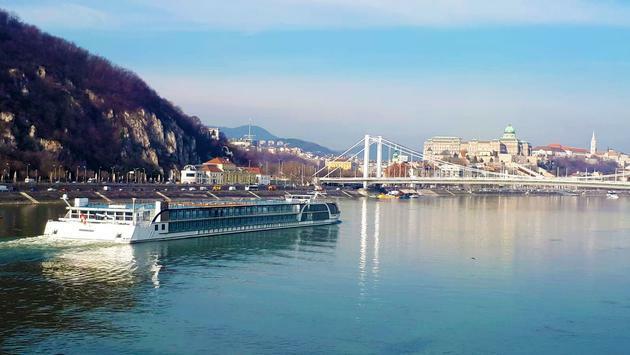 “What we are very proud of, and hope that travel advisors understand, is how we have shaped the river cruise industry by pioneering so many things that people see on river ships today,” said Executive Vice President and Co-Founder Kristin Karst. Among the ship’s many firsts is an aft watersports platform. Passengers will use it to embark on complimentary rides on the Sundowner boat. Notable public areas include four dining venues, a sundeck pool, whirlpool and pop-up bar. Also new is an elevator from the lower deck right up to the sundeck. And an expansive Zen Wellness Studio will include a juice bar and massage rooms. Purpose-built for the Danube River, AmaMagna will carry 20 percent more passengers (196) than the line’s other ships. Yet, her enhanced width (72 feet across, twice that of other river boats) allows for a majority of staterooms to be suites, which measure from 355 to 710 square feet. The line’s sales and operations teams visited AmaMagna at the Rotterdam shipyard in January. “Our teams were completely wowed by the wide-open feeling of the corridors, the new Al Fresco restaurant and the Zen Wellness Studio, [along] with the watersports platform, which may just turn out to be one of the favorite lounge areas for our guests,” Schreiner said. The 102-passenger AmaDouro will debut in April on Portugal’s Douro River. 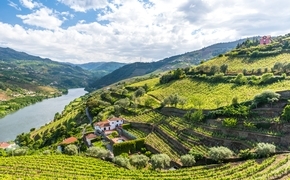 “The Douro is so much in demand today that our first ship, AmaVida, was selling out,” Karst said, adding that AmaDouro will sail on itineraries roundtrip from Porto. AmaVida will operate on cruises between Porto and Vega de Terron on the Spanish border, “which has become a very popular itinerary that we initiated, and now we see other lines following suit,” she added. The Rhine River will become the home of the new 156-passenger AmaMora in June. The sister ship to 2018’s AmaLea will feature the line’s popular Twin Balconies and connecting staterooms. It may also introduce a new concept or two. AmaWaterways will continue its focus on educating its travel partners on the details that are important to clients while encouraging advisors to experience the product first-hand.